Setting up the table to prepare for class! 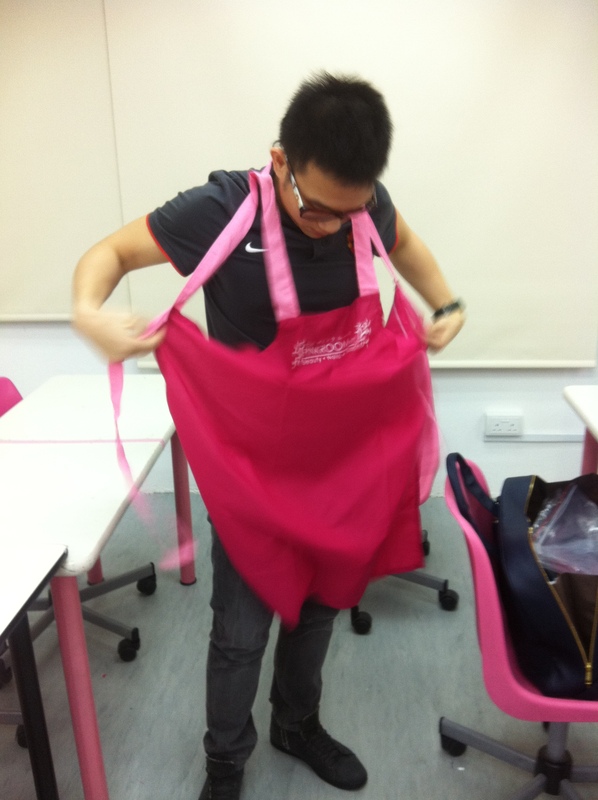 Mr peng trying to look sexay in his pink apron. He say shorter more sexay. Want to seduce who?! 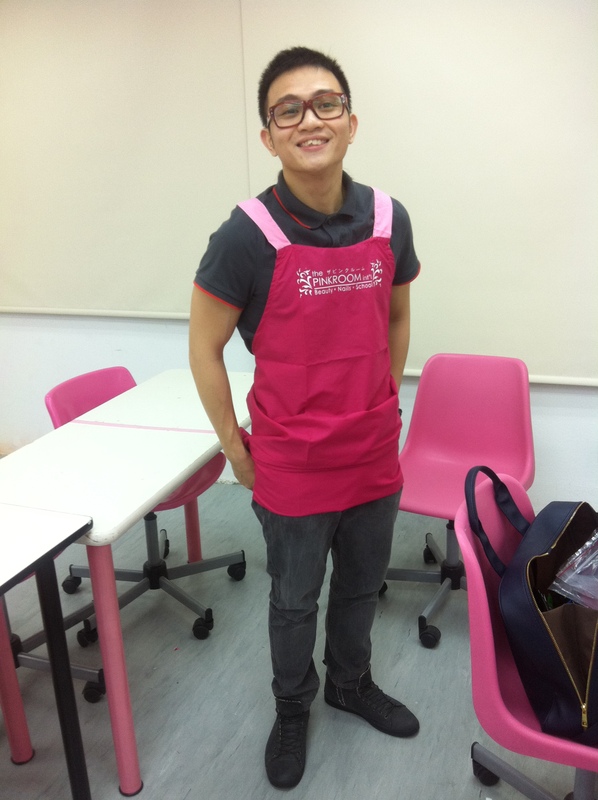 Me in my pink apron~! Today’s lesson is on polishing and it’s so omgly hard. 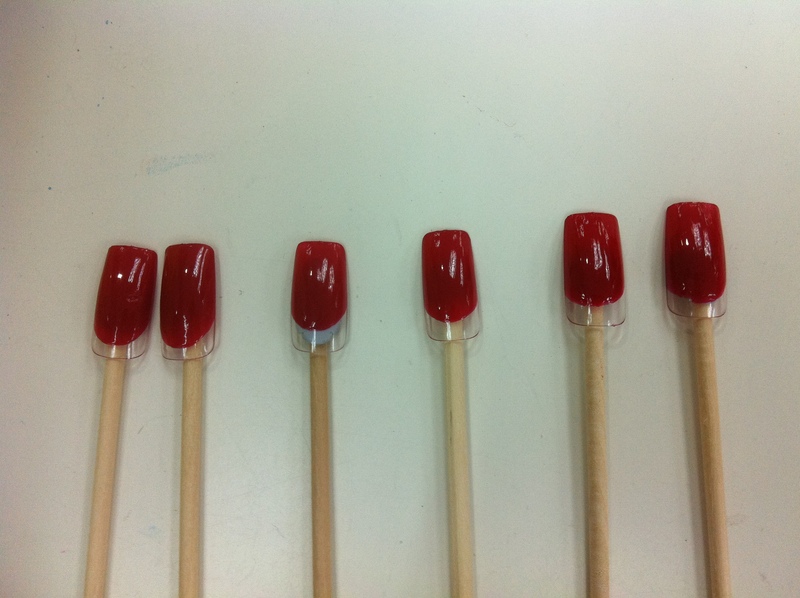 It is not easy painting your nails as you’ll have to avoid the skin area, paint evenly, and your hands cannot tremble! We also learnt the correct way to hold the polish, the customer’s fingers and how to paint IN SEQUENCE. I know we all used to anyhow paint as long as it gets painted, but it’s wrong! Lol. Very hard, need to practice more!!!!! Look at her french, it’s perfect please!